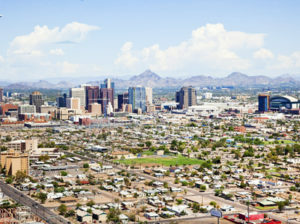 Each year, hundreds of thousands of Canadians visit Arizona—and 25,000 homes in the state are owned by Canadians. So, while snowbirds may come for the sun and leave with the heat, their economic contribution lasts year-round. Canada’s Mattamy Homes, North America’s largest privately owned home-builder, has already developed 11 communities across the Phoenix and Tucson areas— and it has 6 new developments in the works, which are expected to generate thousands of new jobs in the next five years. Housing, tourist and business transactions are made easier by BMO Harris, a subsidiary of the Bank of Montreal (BMO) which has been doing business in Arizona since 1965. Along with BMO Private Bank, the two companies employ 500 people statewide in 51 banking centers. 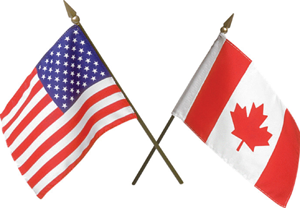 Arizona’s business-friendly climate is reflected in the diversity of Canadian companies operating in the state. More than 350 Canadian-owned businesses operate across 1,000 locations in Arizona, employing over 18,000 Arizonans. Canadian utility firms EPCOR USA, the largest private water provider in Arizona, and Fortis Inc., an electricity and gas utility serve more than 350,000 and 657,000 Arizona customers respectively. In 2015 Fortis, through its Arizona subsidiary UNS Energy Corporation (UNS), contributed $47,500 to non-profit organizations to support programs that improve the health and well-being of children, families and seniors across the state. JV Driver Fabricators, an Alberta-based manufacturing company, has a 100,000 square-foot steel pipeline and structural fabrication facility in Phoenix, and 50 employees on site. This facility doubles the company’s capacity to serve the North American construction market. Ritchie Bros. Auctioneers, based in British Columbia, is the world’s largest industrial auctioneer, and has an auction site in Phoenix. Hosting 5 auctions per year, the company employs 25 Arizonans on a full-time basis, and 50 temporary workers for each auction. And Canada’s Bombardier employs more than 1,000 people at two sites in Arizona— an aircraft service center for business and commercial aircraft in Tucson, and an operations and maintenance center supporting the automated people mover system at Phoenix Sky Harbor International Airport, which is Bombardier technology. For more information on Arizona’s trade with Canada, please contact our trade team in Los Angeles.